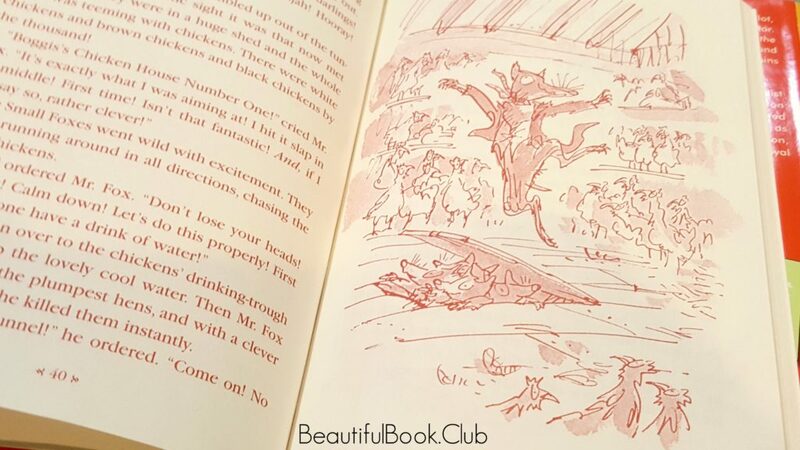 Fantastic Mr. Fox is yet another classic written by Roald Dahl that was later made into an animated film. The kids enjoyed the book, however, be aware that there are some things inside that may make you cringe. For starters, the three farmers are set up as nasty mean fellows who overeat and one whose diet only consists of alcohol. 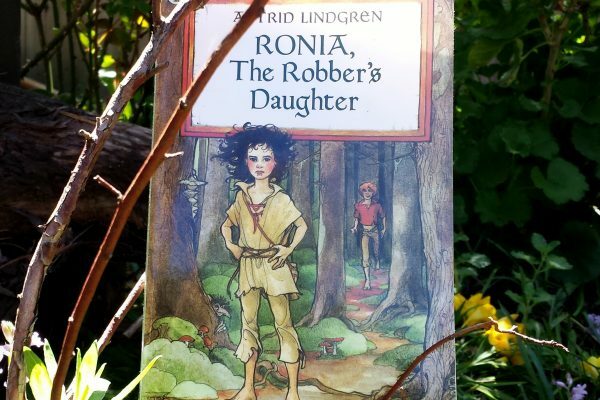 Their goal throughout the book is to kill the main character for stealing their livestock. Lines like “I’d like to rip his guts out!” and “shut up and listen” are not uncommon. 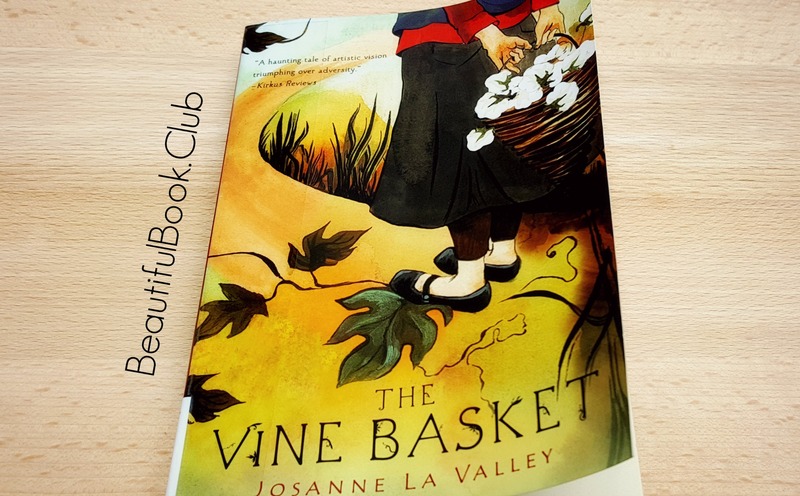 Despite the lack of tender language we are more accustomed to in current children’s literature, the story can still be a fun one especially when read out loud together and makes for a beautiful classic set for your home library shelves. 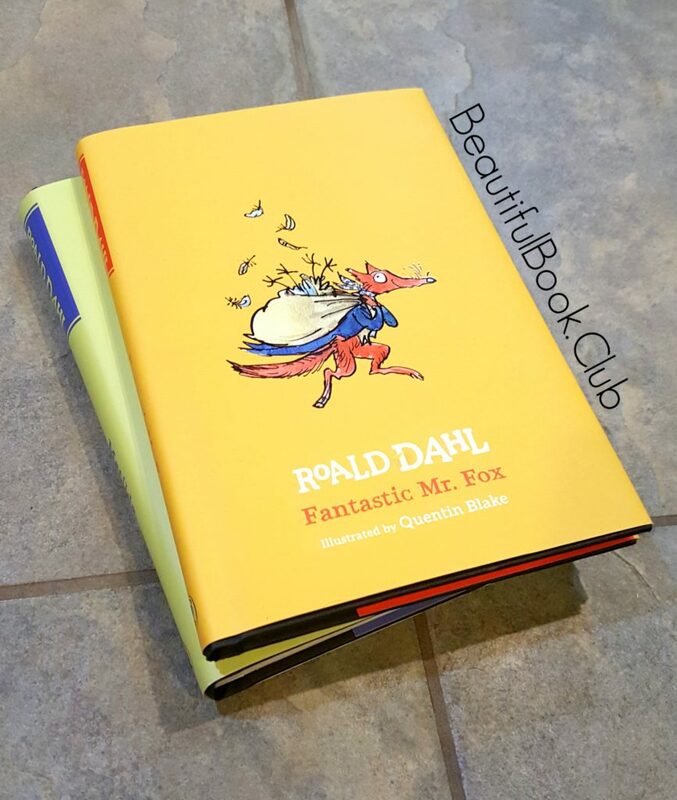 Additionally, a portion of the proceeds from all Roald Dahl book sales goes to their charity partners including causes such as: specialist children’s nurses, grants for families in need, and educational outreach programs. 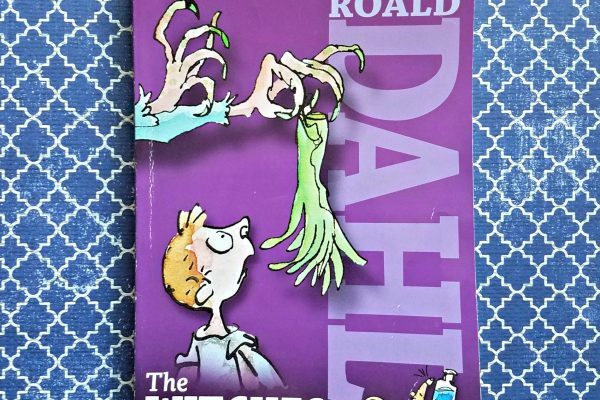 Learn more about The Roald Dahl Charitable Trust. 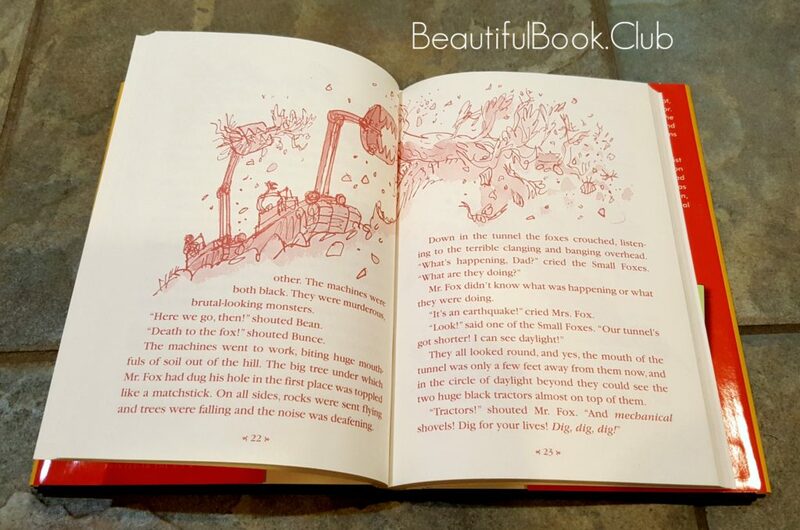 Buy the Puffin Books hardcover edition of Fantastic Mr. Fox here.